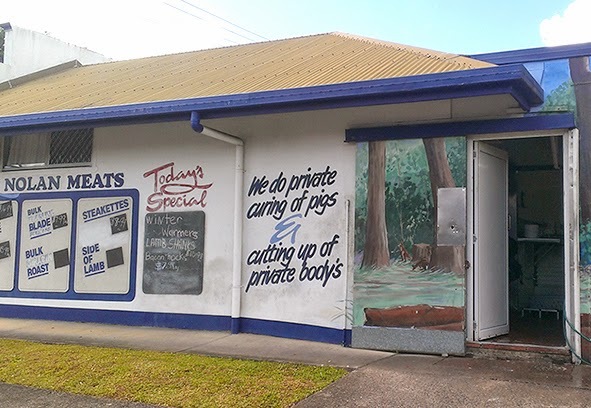 Thanks to Clarke V of New Zealand who took this photo of a butcher's shop in Woombye, Queensland, Australia. It's not just the incorrect plural and unnecessary apostrophe that annoy him. As a vegan, he says this is just wrong in every way possible. It makes you wonder if the horrors that lie behind that door match those of the signage.